I made a new discovery in the food world thanks to this week’s selection from the Gourmet Live 50 Women Game-Changers that I and a group of my fellow food bloggers post about each Friday. 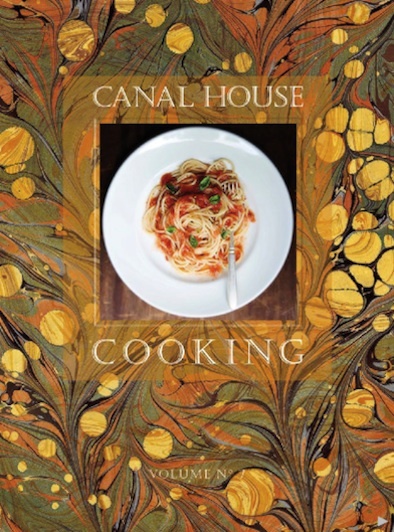 Today we are focused on Christopher Hirsheimer and Melissa Hamilton, the duo behind Canal House Cooking. Hirsheimer (who is a woman, by the way) was a founding editor and food photographer of Saveur magazine (one of my favorites! ), and Hamilton, a chef, was Saveur’s test kitchen director. 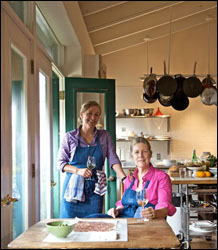 Their new publication comes out three times a year and features recipes and images the pair creates in their New Jersey studio on the Delaware Canal. Best of all, on the website I found a recipe for all-time favorite spread—pimiento cheese. I grew up enjoying this cheesy creation on sandwiches, crackers and celery. Mamaw made her own spread. My mom bought hers from the store. (Pimiento cheese always makes me think of my mom, since it's a treat we both enjoy.) I usually purchase it from a local deli here in Topeka, but I was intrigued with the idea of making my own. This recipe is very easy, and the result is wonderful! I don’t think I will ever buy ready-made pimiento cheese again! Put the cheddar, pimientos, onions, mayonnaise, cream cheese, salt, pepper, and cayenne in a medium bowl and mix with a wooden spoon until it is well blended and the cheddar becomes creamy. Refrigerate for about 1 hour before serving. It will keep in the refrigerator for up to 1 week. If you’re on Facebook, be sure to check out the There andBack Again page. I remember back in the day finding cold pack cheese at our grocers to make cheese balls. It is very similar! I always loved eating pimento cheese....but haven't had it in years. You have inspired me to give it a try again! Kathy, it's very easy to make. I'm ready to make a second batch! Helpful information. Fortunate me I discovered your web site accidentally, and I am surprised why this accident didn't took place in advance! I bookmarked it. I'm also writing to let you be aware of of the fabulous experience my cousin's daughter found studying your webblog. She noticed several details, with the inclusion of what it is like to have a very effective coaching style to get many people with no trouble know certain hard to do topics. You actually surpassed visitors' expectations. Thanks for presenting such insightful, safe, revealing and also fun tips about the topic to Janet.